Believe it or not, the joyous occasion Christmas is just around the corner. It’s the most exciting time of the year, when stores start playing Jingle Bells and people decorate their homes with brilliantly beautiful and colorful Christmas lights to show their true Christmas spirit. As the web is no different, it’s the right time to welcome the Christmas spirit to your WordPress site by decorating it with boughs of holly. Let’s go through all these five sections, one by one. 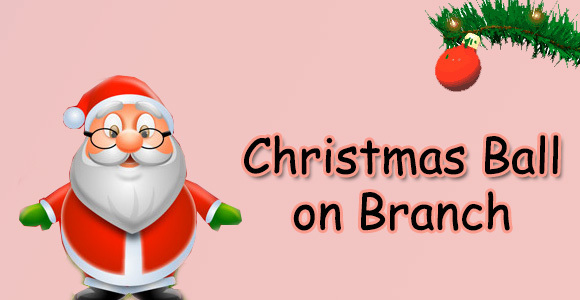 This plugin will enable you to add a beautiful animated Christmas Branch with an attractive bauble and lights to the top right corner of your WordPress site. It is a perfect plugin for your site, if you want to display something small on it without going over the top. Using this plugin, you can add a string of beautiful animated Christmas Lights that will not only welcome your visitors this holiday season, but also warm their hearts. Just install and activate the plugin and get a quirky festive touch on your site. This plugin will give a Christmas-sy look to your site by adding a beautiful snowfall effect. You can configure this amazing snow plugin according to your taste. You can adjust the shape, color and speed of snow as well as the amount of snow to fill the screen.There is an option to configure whether the snow will “stick” to the bottom of the window or never sit at the bottom. Thinking to add the snowflakes falling effect to your site? If yes, then it is the best plugin for you. This cute plugin doesn’t only display falling down or floating upwards snowflakes on your blog, but also will let you choose from balloons, drops, leaves, lights, Santa or Christmas trees as alternatives to snowflakes. An option is also available to limit the plugin to specific posts/pages and configure the number of snowflakes. Furthermore, you can add your own images and have them fall on your site. If you want to turn your website into a fun and joyful place, then you should check out this lovely plugin. It comes with two super cute Santa who fly, slide and fall all over your page along with gifts, candies, snow, colorful balloons and much more. You can also add Christmas music and colored snow to give your site a complete festive touch. As the name explains, this plugin displays a nice and romantic snowstorm on your WordPress site for a festive presentation. It comes with a number of configuration settings that you can change as per your needs. You can adjust the snow color, total and falling amount of snow, animation interval and enable/disable Melt and Twinkle effects. Also, an option is available to set whether or not the snow should “stick” at the bottom of the window. 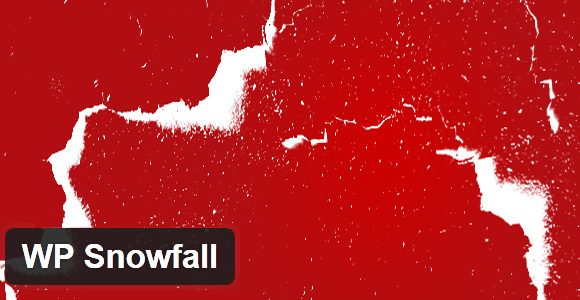 The WP Snowfall plugin adds snow falling effects to your site in a simple and fast way. This lightweight plugin is quite easy to setup and requires no configuration. If you’re using this plugin, it is recommended to keep the background of your site darker. If you want to simply add a snowing effect without options, this plugin is made for you. Like other snow plugins, it doesn’t have any type of configuration settings. The best thing about this plugin is that it is very lightweight and doesn’t affect your site’s speed. Like other snow plugins described above, this plugin also adds nice looking animated Christmas snow to the top of your site in the shape of snowflakes. Like Simply Snow, it also doesn’t require any configuration and is quite easy to install and activate. With the help of this amazing plugin, you’ll be able to set the content of a post/page to appear or disappear on a specific time, date and/or day. After installation, you’ve to use the shortcode [timed] around the content of the page or post that you want to appear or disappear. 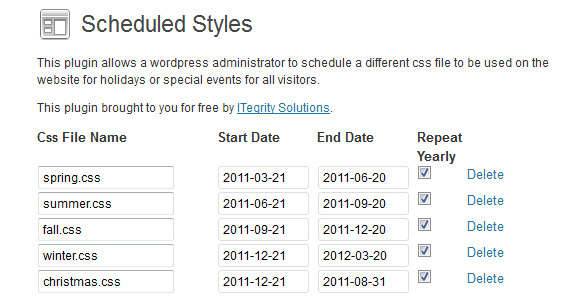 You can customize this plugin by using these six parameters: offtime, ontime, offdate, ondate, offday and onday. This plugin allows you to create scheduled announcements (text and/or media) that you can show in different areas of your WordPress site. If you’re thinking to wish your visitors a Merry Christmas, you can schedule an announcement to start on Dec 20 and end on Dec 25. The best thing about this plugin is that you can also display your photos and add videos from YouTube. This customizable plugin lets you place a sticky message bar and a Call To Action button at the bottom or the top of your WordPress site. You can easily customize the colors; add gradients and a drop shadow to the bar. Some fantastic XMAS design presets are also added by the author of plugin, which you can enable from the back-end. Apart from this, this plugin is very helpful in grabbing your visitor’s attention, driving extra traffic and capturing leads. Countdown Clock lets you show a customizable flash countdown clock for your favorite event on your sidebar. It allows you to choose from a range of countdown clock designs, sizes, colors, pictures and animations. You’ll also be able to set clock layouts, background and text color, text, date, time and time zone. You can either set your own event or select from the list of preset events like Christmas, Summer, Olympics and World Cup countdown. This amazing plugin allows you to add a simple countdown clock, which displays seconds, minutes, hours and days until Christmas day, to your site using a widget. Several designs, sizes, background colors, pictures and animations are available to choose from and installation is quite easy. 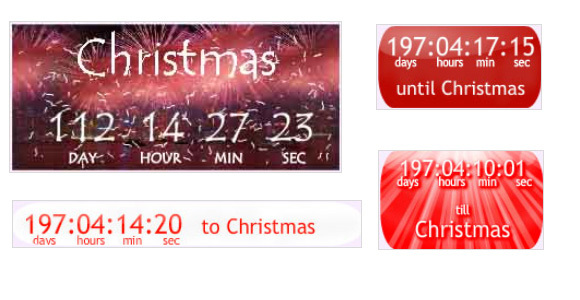 This plugin enables you to display an adorable Santa Claus Christmas Countdown in your sidebar. You can also add the countdown to any post or page by using the shortcode [countdown]. On Christmas day, it will automatically display a “Merry Christmas” greeting to your visitors. As this widget appears on a transparent background in your sidebar, so it will look good with all types of themes. This plugin offers a simple date picker, which allows you to specify a date range that will dynamically add a custom CSS class to your body tag. Using custom CSS, you can completely change the look and feel of your WordPress site during the whole festive season. An option is also available through which your specified date range will be automatically updated for the next year. This handy plugin lets WordPress Admins schedule a CSS fileto display on their websiteduring the holidays or special events. If you want to set a Christmas theme, this plugin is a perfect choice for displaying a holiday inspired design to your visitors during this Christmas season. 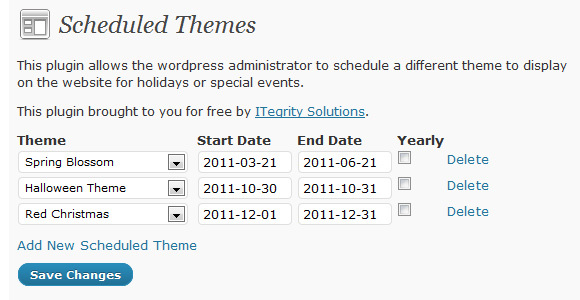 This useful pluginwill let you schedule a different theme to appear on your site on a special occasion like Christmas day. The existing theme of your live site will be overridden by your scheduled theme for the time range you’ve specified. Undoubtedly, it is one of the best plugins for setting a Christmas theme. Advent Calendar is a handy plugin that you can use to publish exclusive content. Using this plugin, you can add a professional and well-functioning advent calendar to your WordPress site. It offers you a random selection of advent calendars from Advent Calender. It comes with a number of customization options and currently supports English, Swedish, Danish and Norwegian languages. This plugin lets you embed advent-calendar in any WordPress page or post, using the [my_calendar] shortcode. You can customize the calendar to fit your layout properly by adjusting its height, width, border and border color. If you’re going to use this plugin, it is recommended not to display advent calendar in the widget area if the width of the area is not equal to an iPhone screen.